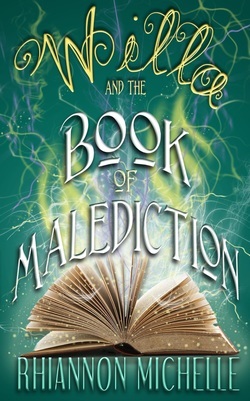 Willa thought middle school was the worst of her troubles, but when she looses control of her magic a new threat is summoned and a long kept secret is revealed. An alliance of three, her fates will arrive. Willa and her sister, desperate to repair their parent's marriage, steal a book of spells and unleash magic and mayhem on the town of Prophecy point. Soon they learn Willa is more than she seems. Don't worry, Rhiannon is hard at work on your next read! Follow the blog for updates on releases and more.